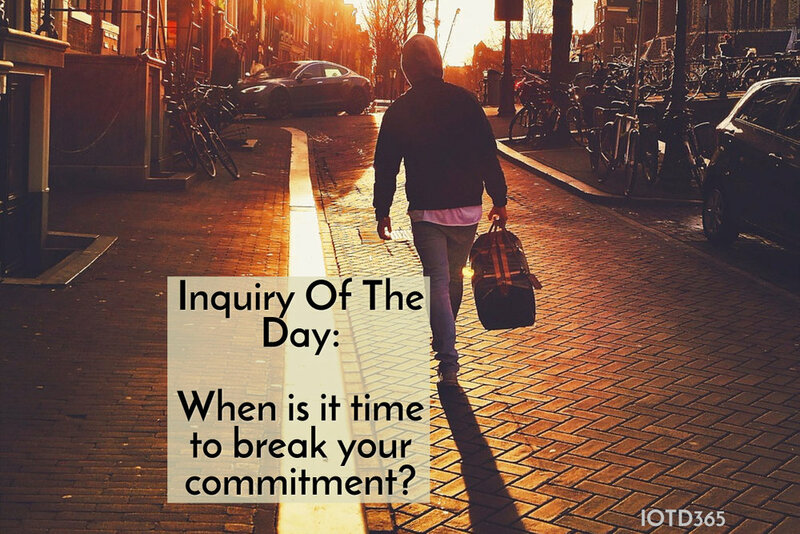 When is it time to break your commitment? Break is an action verb. A decision was made to embrace a commitment and the same decision to end the commitment. This inquiry arose out of a discussion with a family member a year ago. She had been leading a nonprofit for several years and grown the influence over her tenure. The Board of Directors brought in a new Director that wanted to go in a new direction, and she was fired. Broken-hearted, she moved onto another project, where she is having a remarkable influence on women's lives. After several months, the Board of Directors acknowledged their mistake and asked her to return. During our discussion, she recounted the series of events and was wrestling with the decision to break the relationship. She loves the organization's team and the dear people in the Brazilian mission field. Ultimately, she could not trust the board and decided against returning. Commitments are made based on a series of conditions. Over time, changes are made, events happen, and it becomes time to reevaluate the agreement. An altered vision or strained relationship will drive a wedge into the agreement and send it into a death spiral. It doesn't happen overnight, but a progression of little decisions ends with the stakeholders mystified at the current situation. Lukewarm commitments hurt everyone; are you in or out? Seeing the destruction of dreams is never easy. Grieving much is an indication of caring much. And caring much is good. The world requires people that are generous and willing to care enough to commit. It takes a while for our heart to accept, what our gut knows. Taking required action sets us free. Freedom from anxiety, tomorrow's fears and the anticipation of what is ahead, brings release. You know the commitment and the needed change; now is the time and freedom awaits. Going Further: When have you needed to break a commitment? What was the hardest part? What was the upside? How have these experiences shaped you? What current commitment necessitates addressing? What action needs to be taken and what step will you take today?